“Attempts to mitigate the stricter sulfur limit and to postpone the deadline for implementation have failed. We are happy about that, “says Ludovic Laffineur, the sustainability specialist at the RBSA. 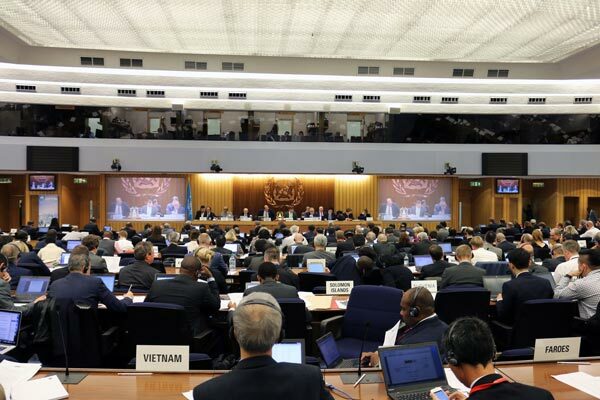 This week, the Maritime Environment Protection Committee (MEPC) of the International Maritime Organization (IMO) came up with proposals to make the introduction of the new global sulfur emission limit of 0.5% from 1 January 2020 more flexible. The main proposal related to the need to have an ‘experience building period’ after that date. Proponents wanted to give shipping a little more time to adjust, to identify and tackle problems with the availability, quality and compatibility of low-sulfur marine fuels. They also wanted to limit the potentially negative economic impact of the measure. Officially, the date of 2020 would not be affected, but de facto the implementation of the new sulfur limit would be pushed back. Even 2023 came into the picture. The proponents of such a ‘soft rollout’ were not the least: large flag states such as Panama, Liberia and the Marshall Islands, shipping organizations such as BIMCO and Intertanko threw their weight in the scale. Their proposal gained momentum when it received the unexpected support from the United States. The general expectation was that the meeting of the MEPC this week in London would result in some sort of compromise that would at least partly meet those complaints. It turned out differently. The MEPC eventually stood firm. Most countries were not in favor of a weakening of the deadline. There was certainly no interest in the EU countries to fumble there. They too had arguments for that. One of these is that shipowners who invest in order to comply with the new sulfur limit should not be disadvantaged. Moreover, the proposal for an ‘experience building period’ was too vague for many. The Belgian shipowners are on that line. They often take the lead internationally when it comes to the sustainability of shipping. “We were not in favor of a transitional period and we are happy that there is no phased rollout,” says Ludovic Laffineur, Head of Environment and Technical Affairs at RBSA. “In this way there will still be a small opening for a smooth application of the new regulations,” Laffineur admits. He also realizes that the strict application of the stricter sulfur limit from 1 January 2020 may leave something to be desired worldwide, but “Europe is ready”. The MEPC did keep another back door closed. Ships that are not equipped with scrubbers to wash the sulfur out of their exhaust gases may only have low-sulfur fuel on board from 1 March. So they have two months to burn the heavy fuel oil (HFO) that they still have in their fuel tanks at the beginning of 2020. Many shipowners have opted for scrubbers in the last few months, fearing that the price of low-sulfur marine fuels will be considerably higher than that for HFO, and that problems relating to availability will be avoided. As far as scrubbers are concerned, Laffineur also indicates that he is concerned with ‘open loop’ systems and their impact on the quality of the water in which they discharge their washing waters. With ‘closed loop’ scrubbers, washwaters are collected in tanks and delivered in ports.